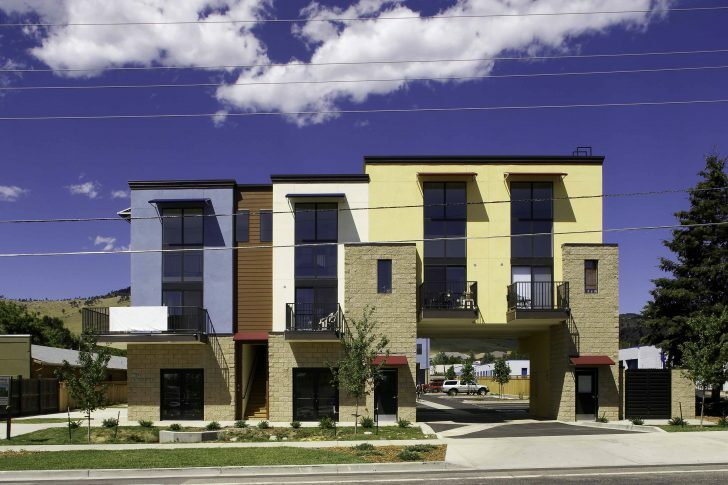 Off Broadway is a 17-unit urban infill, mixed-use development in North Boulder’s industrial zone. Located on the former site of Boulder Shelter for the Homeless, this industrial arts, live/work community mixes ground-floor artisan/ small business work spaces for artisans with residential, loft living environments above. The program calls for 19,600 sf of building space on a .9 acre site. 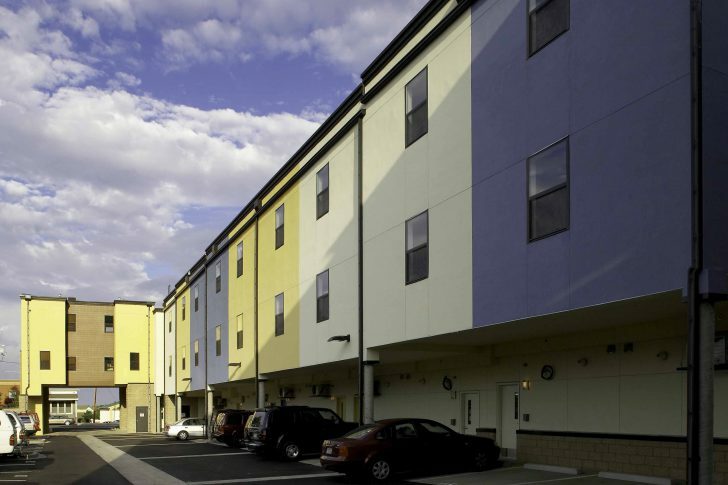 The project is made up of three, 3-story buildings wrapping around and visually shielding 42 tuck-under and surface parking spaces from the street. An outdoor “paseo”, or community market space, serves as a walking circulation spine fronting the south facing industrial-arts activity spaces. 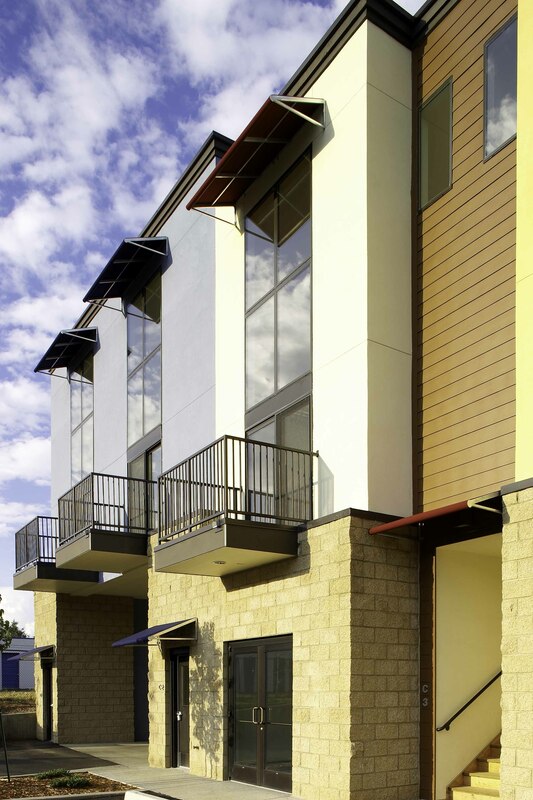 Off Broadway has a total of 13 workspace units and 17 loft living units. Some of the work units have roll-up glass garage doors that open to the Paseo. 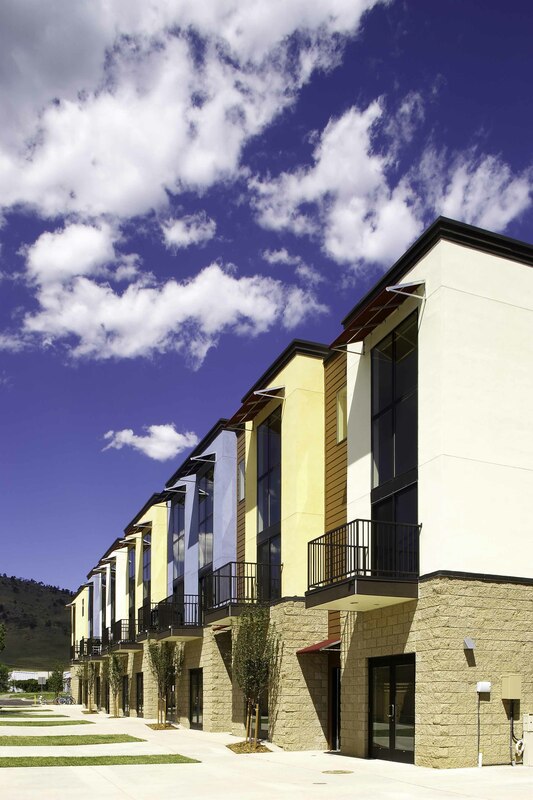 Residential lofts directly above the work studios contain a two-story volume with floor to ceiling glass. Create affordable, green live/work community for local artists with common work/meeting areas within existing site. 20-foot ceilings with floor-to-ceiling glass to allow ample daylight into the artist’s workspace. Roll-up garage door for work units that open onto “paseo”. South-facing outdoor “paseo” community space for work/meeting areas.